Yesterday, I awoke to grey drizzly skies, which normally would be an indicator of a quite wet day for a pre-construction tour of the Upper Baker downstream fish passage facility (a.ka. the floating surface collector) and the future construction site for a similar FSC at the Lower Baker Dam. To my surprise the skies opened up as I traveled northward and the skies were full-on blue in Mount Vernon. It was a gorgeous day at the project with 9,127-foot Mt. 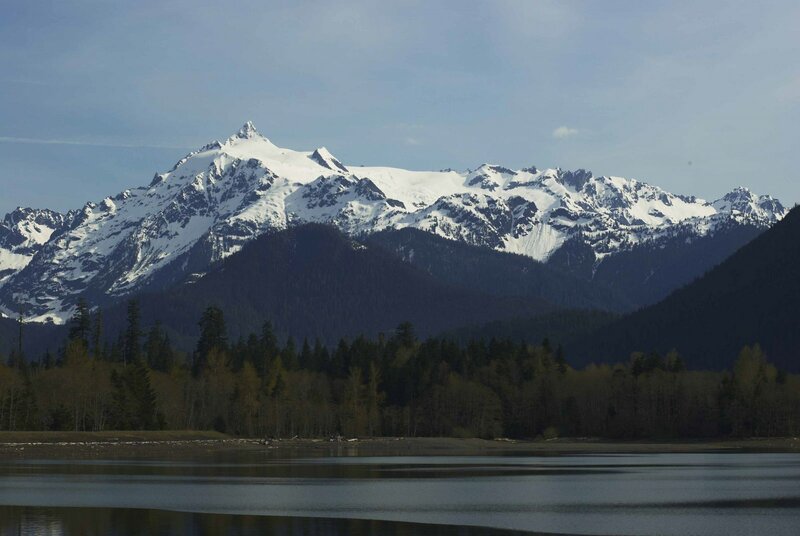 Shuksan (below) and Mt. Baker out in their full glory. Expecting liquid sunshine rather than the real thing, I got a little sunburn and enjoyed a wonderful day at the Project.